One of the biggest problems surrounding invisible illnesses is the perception others have that you need to “look” ill to be ill. 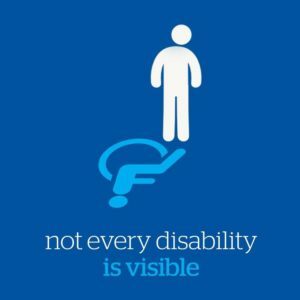 This can have such a negative impact on those suffering from an invisible illness as they might feel they are not believed, and they will often receive judgement from others. 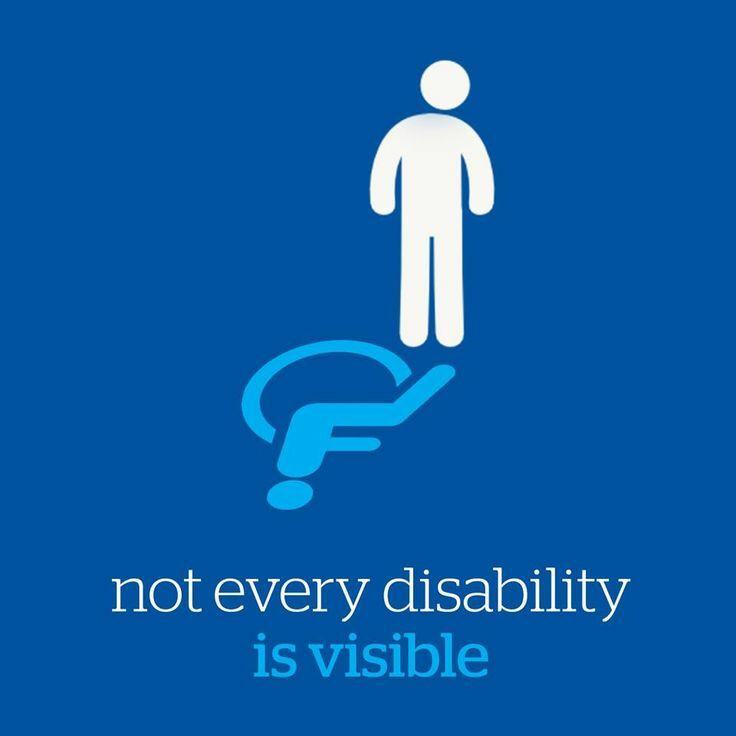 We need to start to change this perception of what we “think” an invisible illness should look like, and start to realise that 95% of people who have an invisible illness often look well on the outside. By showing a little more kindness and a little less judgement to all those we meet, we can help change this perception. An elderly woman gets onto a crowded bus and asks a young woman in her 20s at the front of the bus if she could sit in her seat. The young woman shakes her head, but the man next to her gets up and offers his seat to the elderly lady. Thoughts? You might think this young woman is selfish for not giving up her seat. You might even roll your eyes at her and give her a disapproving look. What you can’t see – This young woman suffers with an illness called Myaglic Encephalomyelitis (M.E.). Some of the physical symptoms can include overwhelming fatigue, pain, headaches, migraines, sensitivity to light and sound, and dizziness, just to name a few. Today this young woman is having a “good day”, meaning she can take the bus to see her friend. She will have to spend the rest of the day and probably a few days after in bed due to the fatigue payback. To make the journey as easy as possible she needs to stay seated, as prolonged periods of standing can cause her severe pain and exhaustion. She needs that seat just as much as the elderly lady. Conclusion – Most people are kind at heart and will always want to do the right thing. If an elderly person is asking for a seat, 90% of the time, if an individual is able to give up their seat they would. Therefore, if you see someone who doesn’t give up their seat, remember that the most likely explanation is not that they are selfish, but that they need the seat themselves. Show compassion towards that person and think how hard it must be for them. You have arrived at a party and it is barely 8pm and there is a young girl there already completely wasted. She’s dancing on her own and making a bit of a scene. Thoughts? You are probably thinking how embarrassing it is that she’s acting like this, you might even feel sorry for anyone who came with her. 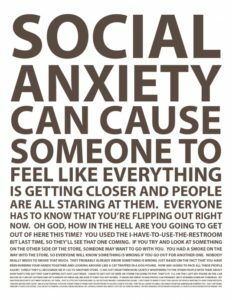 What you can’t see – This young girl suffers from severe social anxiety and often has panic attacks before going to public events. She was so nervous about the party tonight she had a panic attack an hour before. 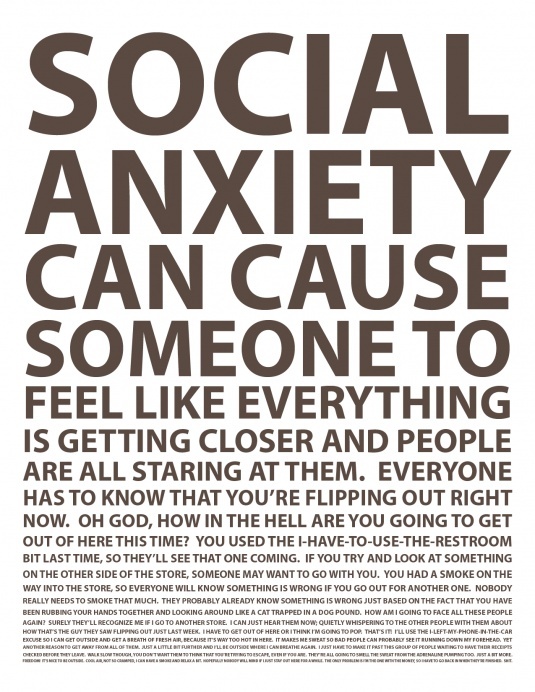 A panic attack is a sudden urge of overwhelming anxiety and fear. Your heart pounds and you can’t breathe. You may even feel like you’re dying or going crazy. A panic attack can be very traumatising and frightening. This young girl was determined to go to the party despite the panic attack, but she felt the only way she could cope and get through the night is by drinking. She has a bottle of wine to herself before going out to help calm her nerves. Conclusion – A lot of people turn to alcohol and drugs as a form of coping when they are mentally unwell. Admittedly, a lot of people who are wasted aren’t doing it as a coping mechanism, so look out for warning signs where it might be used as a coping method. Are they the only one drunk in their group of friends? Had they drunk a lot before they came? Did they drink a lot very early in the night in a very short space of time? Instead of judging this person, show them compassion and recognise that mental illness can affect anyone. Maybe offer them a lift home, or simply look out for them during the night to make sure they stay safe. A man in his early 40s parks in a disabled spot in town. He gets out unaided, and walks his two young children to school down the road. Thoughts? You might think what’s wrong with this guy? He clearly isn’t disabled! How selfish of him to use up the spot that someone else really needs. He’s not in a wheelchair and he can walk capably unaided. What you can’t see – This man suffers from an illness called Multiple Sclerosis. Multiple Sclerosis is a neurological condition that is a progressive illness, meaning it often gets worse as you get older. Some common physical symptoms of MS are balance problems, stiffness, dizziness, spasms, fatigue, and weakness, which results in a lot of people relying on a wheelchair at some point, depending on how progressive the illness is for that person. This man with MS has been in bed all week unable to look after his wife or kids. Today is the first day he feels a bit better and has decided to take his kids to school, despite the “payback” it might cause. Although he can walk okay today, every day is a different story. 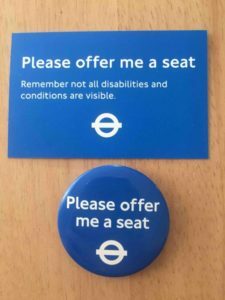 Conclusion – Anyone with a blue badge has a blue badge for a reason. If you see someone park in a disabled spot remember that there will always be a valid reason they can park there, even if it isn’t visible. Most people who park in a disabled spot don’t use a wheelchair, so try to change your perception of what disability looks like. A little boy, aged 7 or 8, is with his mother in the supermarket. 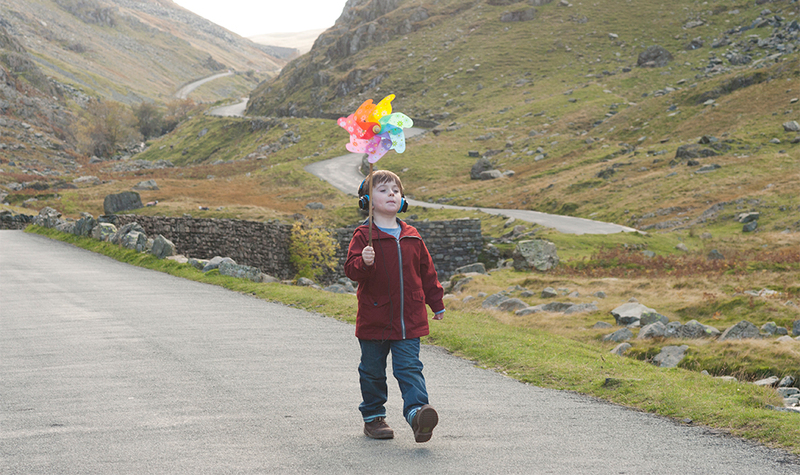 Suddenly, the little boy launches into an ear-splitting tantrum. The mother just stands there waiting for the boy to stop, not saying or doing anything. Thoughts? You would probably wonder why the mother wasn’t doing anything to control her child. You might think how spoilt that little boy is having a tantrum over something so small like not getting his favourite snack. You might unknowingly give the mother and the boy a disapproving look, thinking she is obviously not a good mother and the child needs more discipline. What you can’t see – This little boy suffers with severe autism. All it takes is a seemingly insignificant trigger for him to lurch into a tantrum. Autistic children’s tantrums are neurological in origin and are often due to an overload sensory system. They literally can’t stop their reaction or be consoled. The only thing parents can do is try to keep their children from hurting themselves and wait till the storm passes. Conclusion – Next time you see a little boy or girl screaming in a supermarket, in a shop, or an airplane, instead of judging them, feel compassion for the boy and his mother. Maybe think, “That poor mother looks so tired, I wonder if there’s anything I can do to help. Being a parent is so hard”. If you do catch the mothers eye, instead of looking away or giving a disapproving look, give the mother a kind smile, you never know what she could be going through. There is a big queue for the lady’s toilets, and a young lady squeezes past you to go into the disabled toilet which is empty. She walks in perfectly normally and isn’t in a wheelchair. Thoughts? You’d probably give this person a disapproving look. The disabled toilet is for wheel-chair users only, and this person can walk, so clearly they shouldn’t be using the toilet! What you can’t see – This person suffers from a condition called Crohn’s disease. Crohn’s disease is a long-term condition that causes inflammation of the lining of the digestive system. Some of the symptoms can include severe bowel problems, abdominal pain, fatigue, and an urgent need to go to the toilet. 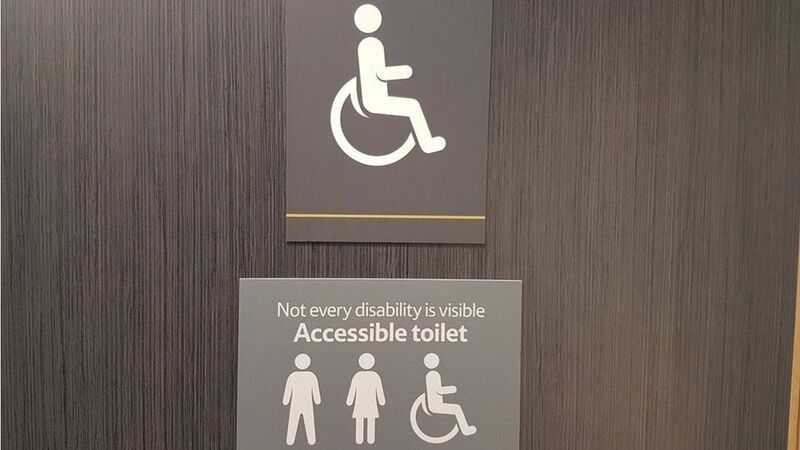 Often people with Crohn’s disease have accidents as they just “can’t wait”, which is why they have to use the disabled toilet if there is a queue for the other toilets, or if they’ve had an accident, they need the use of the sink and space to tidy themselves up. 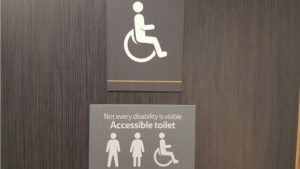 Conclusion – Please have compassion, it can be hard enough having to use the disabled toilet without the constant judgement of others. A guy in your halls of residence at university barely leaves his room, and you have only ever seen him once or twice in the kitchen. He’s doesn’t ever join in the socials and often on the times when you have seen him he doesn’t say much. Thoughts? You might think he’s a bit of a loner, probably has no friends. You might also have the impression that he is quite boring as he doesn’t ever join in your social events, and therefore you make little effort to be inclusive. What you can’t see – The young man in his room is suffering from severe clinical depression. Clinical depression is a very serious illness, the symptoms of clinical depression can include continuous low moods, a feeling of hopelessness, having no motivation or interest of things, feeling “numb”, not getting any enjoyment out of life, and more seriously, having suicidal thoughts. This young man is showing many of the social symptoms of clinical depression which include avoiding contact with friends, taking part in fewer social activities, and neglecting his hobbies and interests. His coping method to is to shut himself in his room all day and not talk to anyone. Conclusion – If you know someone who spends a lot of time on their own, try and talk to them, and do something simple like offer them a cup of tea. They might simply like spending time on their own, but if they are always on their own then it’s more likely there is someone wrong. 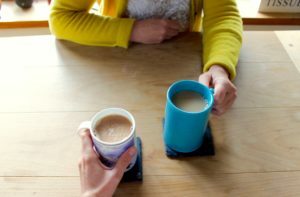 Try and encourage them to join in, but maybe help them by starting off with a small suggestion such as cooking dinner together, or watching a film, to make it more manageable for them. Remind them they are not alone and encourage them to seek support and help. By reading this post, I hope it has given you time to reflect on your perception of invisible illnesses. Please feel free to share this post to help raise awareness.